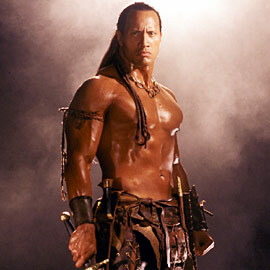 MGM has confirmed that Dwayne Johnson has made it official and signed on the dotted line to play HERCULES, based on the graphic novel The Thracian War. Writer Ryan Condol has adapted Steve Moore's graphic novel "Hercules: The Thracian War," which debuted in May 2008 via Radical Publishing. MGM's Roger Birnbaum, Gary Barber andJonathan Glickman are on board to produce the film along with Peter Berg and his Film 44 partner Sarah Aubrey, as well as Barry Levine of Radical Pictures, whose Jesse Bergerwill executive produce. Filming is set to begin in October in New Zealand.